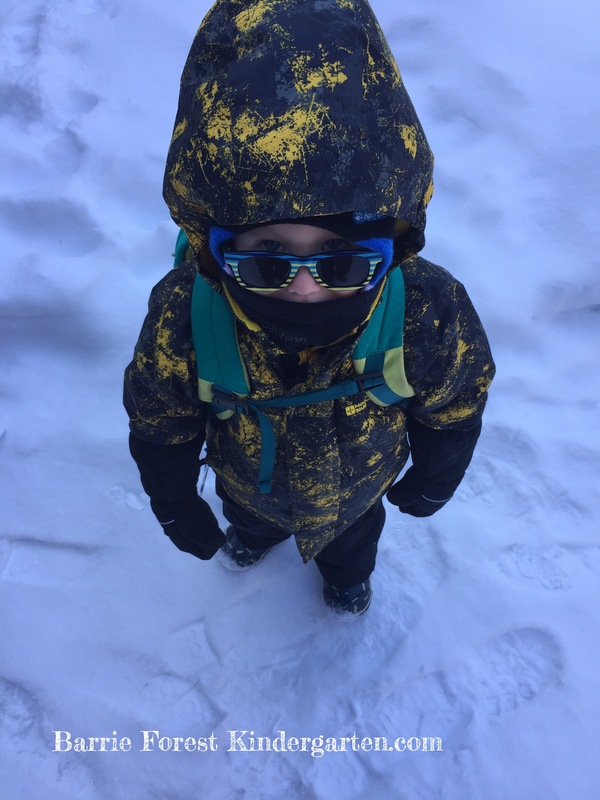 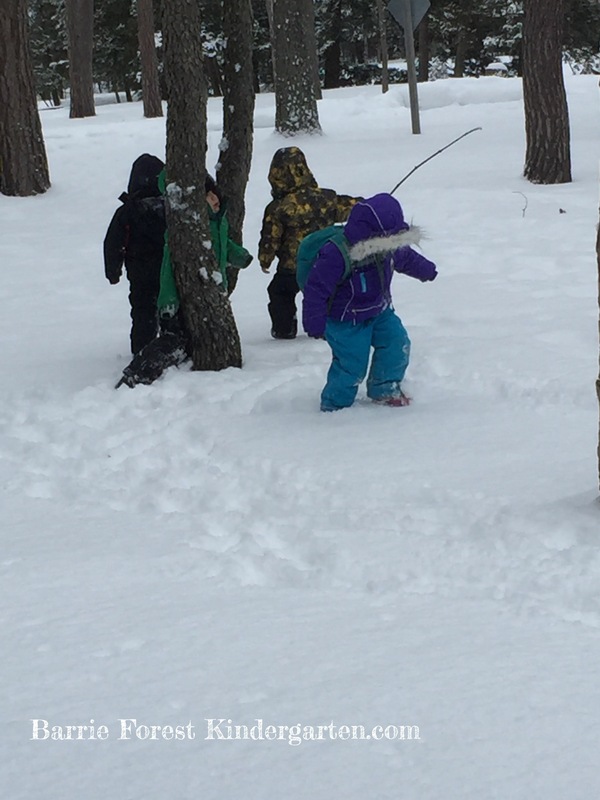 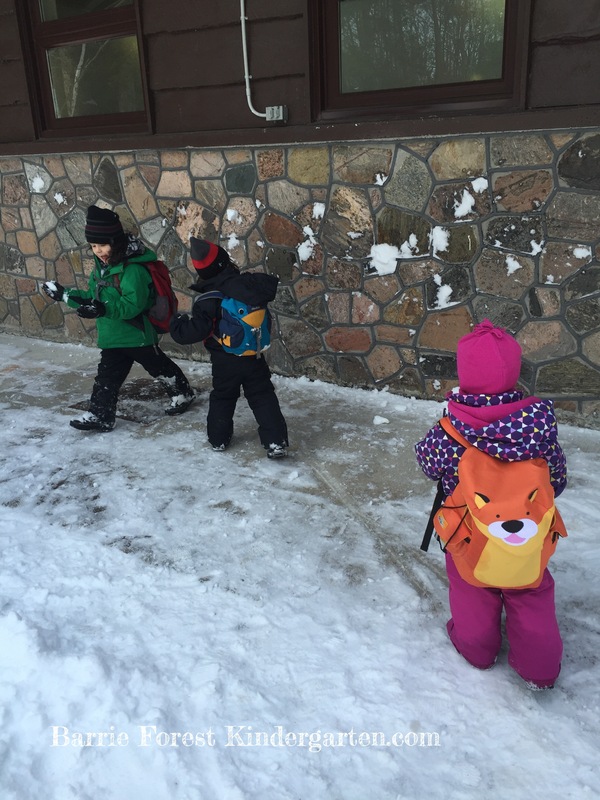 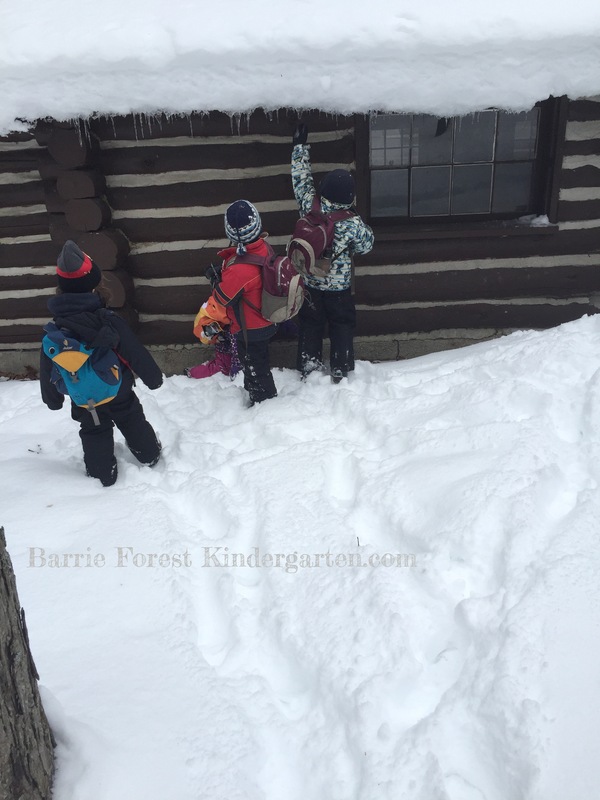 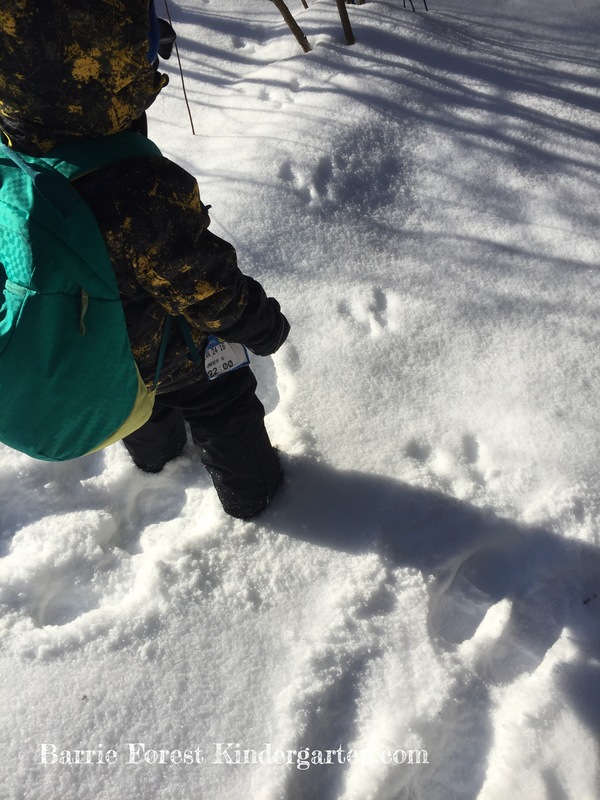 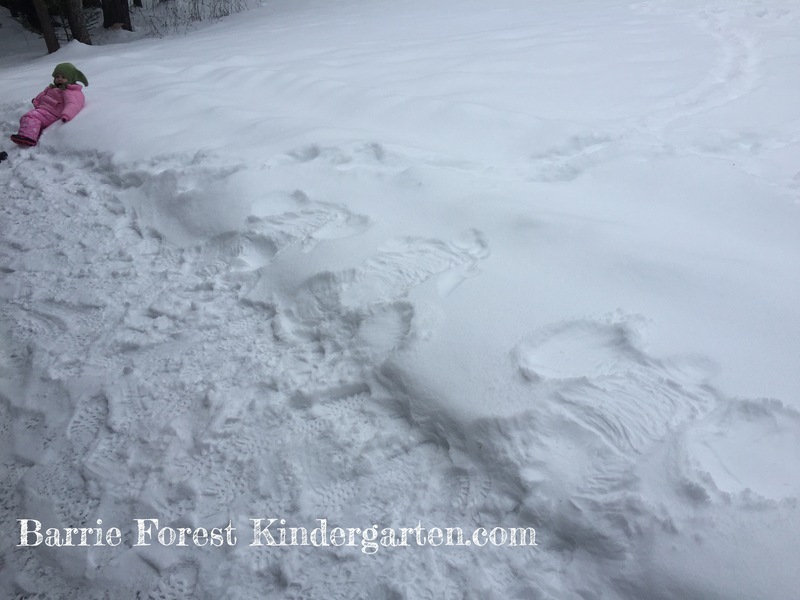 January brought the kids exploring their forest covered in snow. 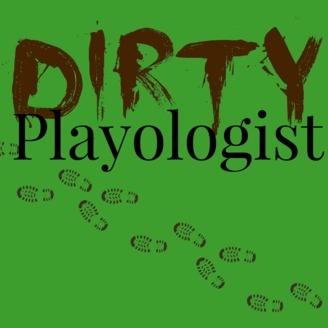 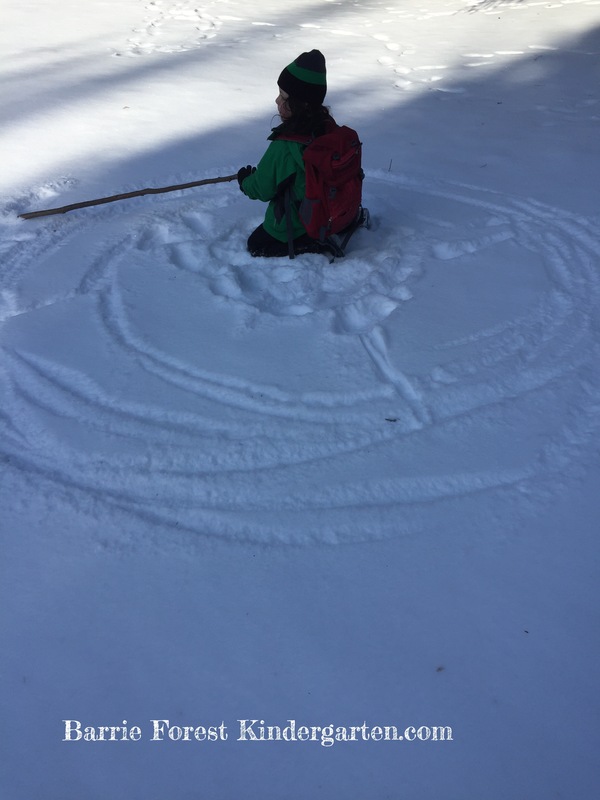 Art seemed to be the theme – either creating art or finding it in nature (and eating it!). 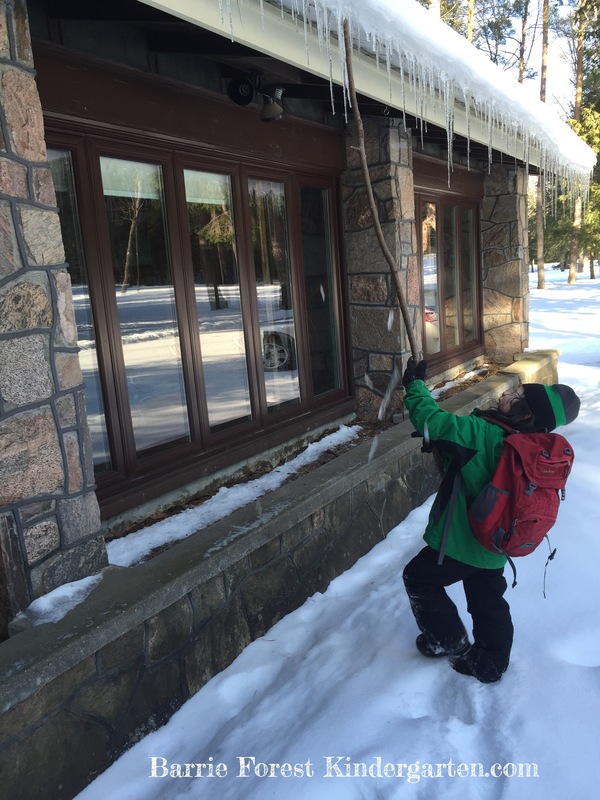 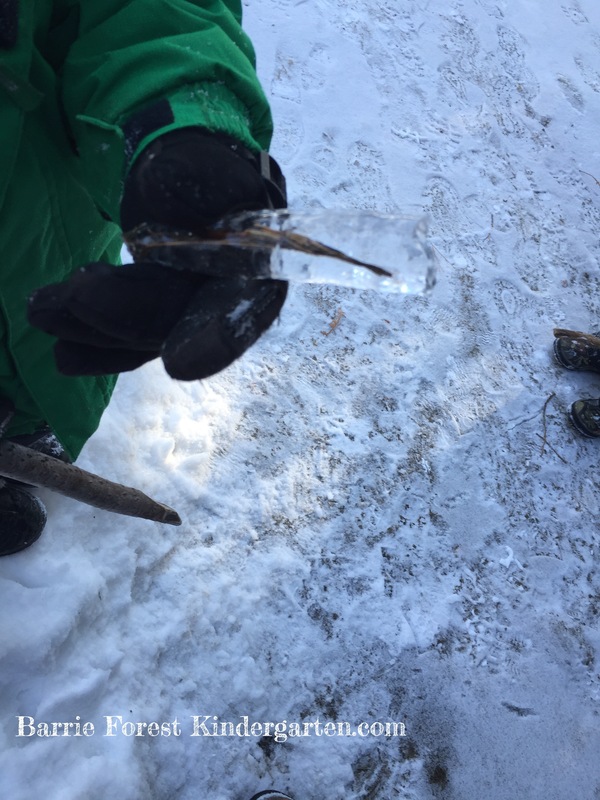 They enjoyed the art captured in icicles and the tracks left by animals. 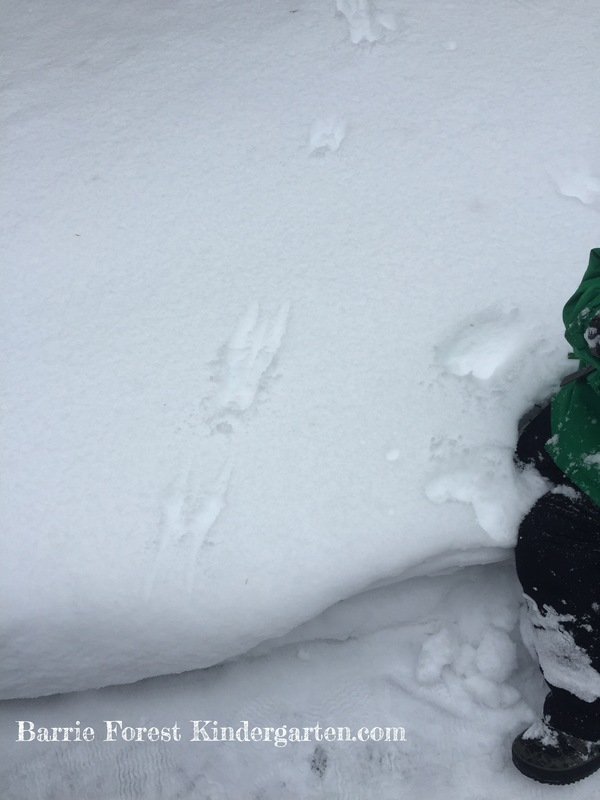 They comparing tracks to figure out what had been there and tried to figure out where they went and had come from. 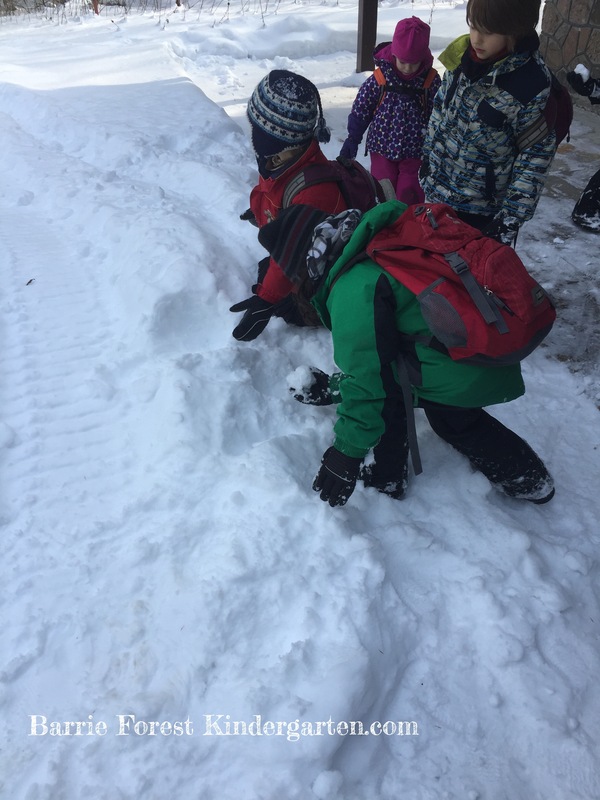 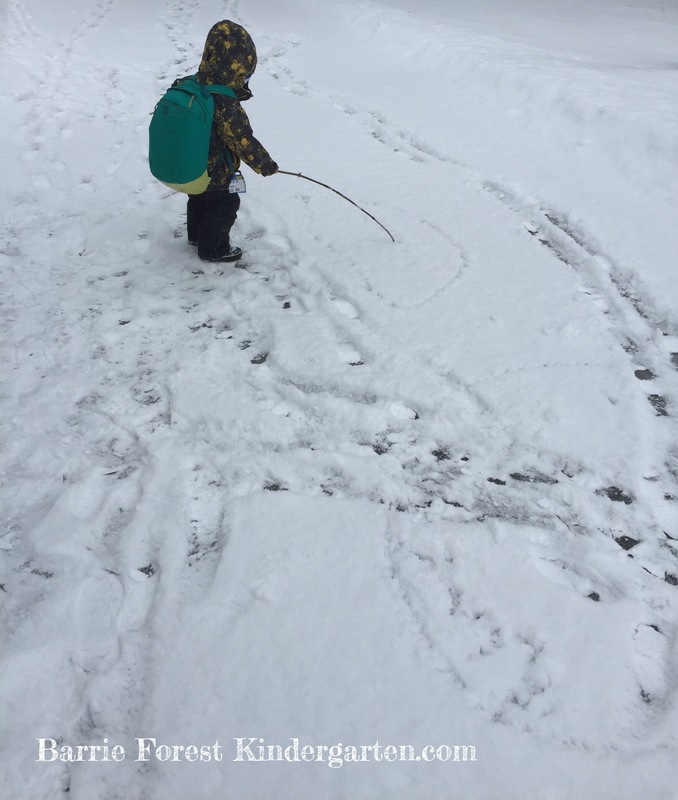 They also had to figured out how to investigate differently in the winter when they wanted to know which way the water was flowing without getting wet (they settled on throwing something in to watch which way it floated).